Tesla Model S reviews and reliability: Best car ever made? Not yet. 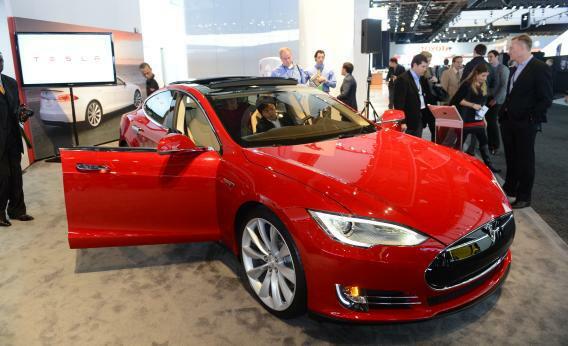 The Tesla Model S is introduced at the 2013 North American International Auto Show in Detroit on Jan. 15. The Tesla Model S is Motor Trend’s Car of the Year. It’s Automobile’s Automobile of the Year. And this week, Consumer Reports rated it 99 out of 100—tied for the best score the magazine has ever given. I was equally blown away in my own brief test drive. Others have been so impressed that they’ve reached outside the auto industry for reference points—my colleague Farhad Manjoo today compares Tesla to Apple and Google. All of which raises a question that sounds hyperbolic, but really is not: Is the Tesla Model S the best car ever made? So is the Tesla Model S the best car ever? We wrestled with that question long and hard. It comes close. And if your needs are confined to the Tesla’s driving range, it just may be. But for many people, the very thing that makes cars great is the ability to jump in and drive wherever you want on the map at a moment’s notice. And on that measure the Tesla has its limitations. Fair enough. But I have a shorter answer, and that is: not yet. Easily overlooked in the excitement over Consumer Reports’ review is the fact that the magazine hasn’t actually given the car its iconic stamp of approval—the little red check mark signifying a product that’s “recommended.” That’s because, no matter how it performs on the track, a car can’t earn that distinction until the magazine has enough data to judge its reliability. The Model S is too new to be eligible. Automotive history is littered with cars that dazzled at the outset but fizzled due to maintenance problems. So far, there’s no indication that will happen to the Model S. But until we know for sure that the car holds up over time, let’s hold off on the “best-ever” superlatives and just enjoy the ride.